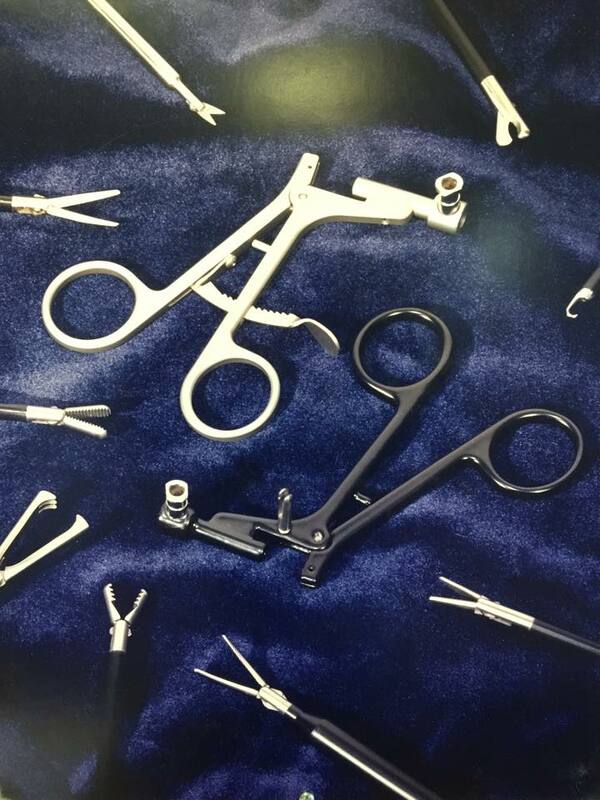 Microcut Inc. has made a wide variety of surgical instruments. Shown here are the surgical forceps designed for laparoscopic surgery, or minimally invasive surgery. These tools were used by surgeons to cauterize, stich, clamp, etc.